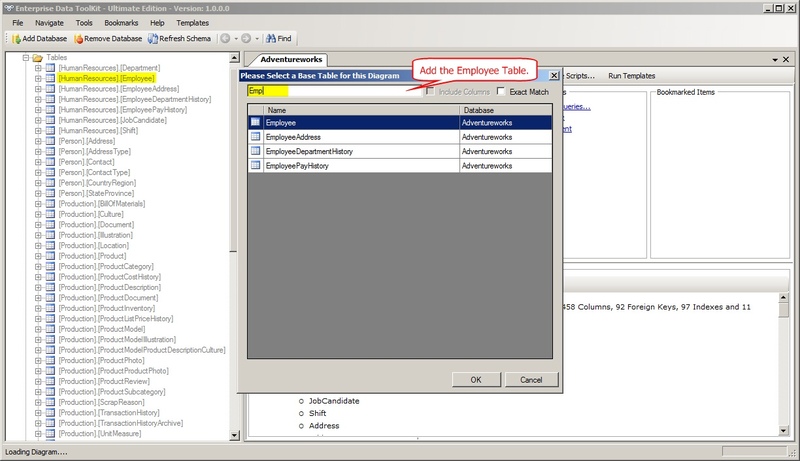 Drag a table on to your canvas, one click to bring in related tables and their related tables. 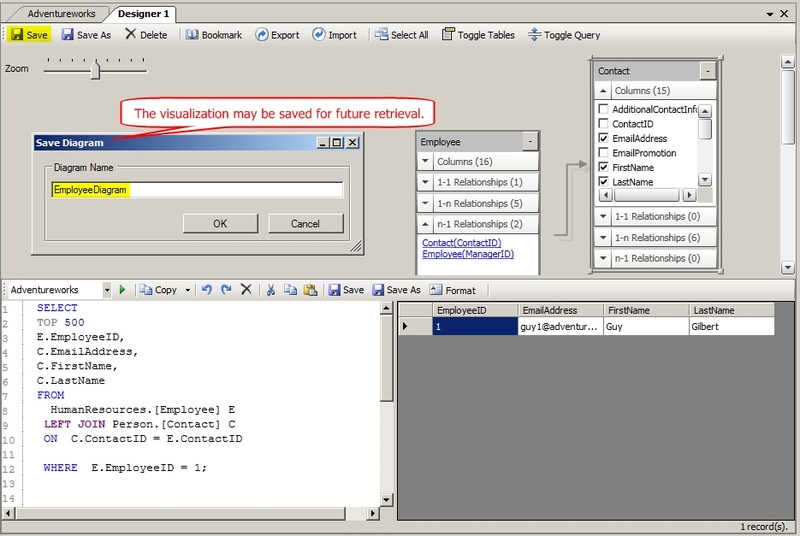 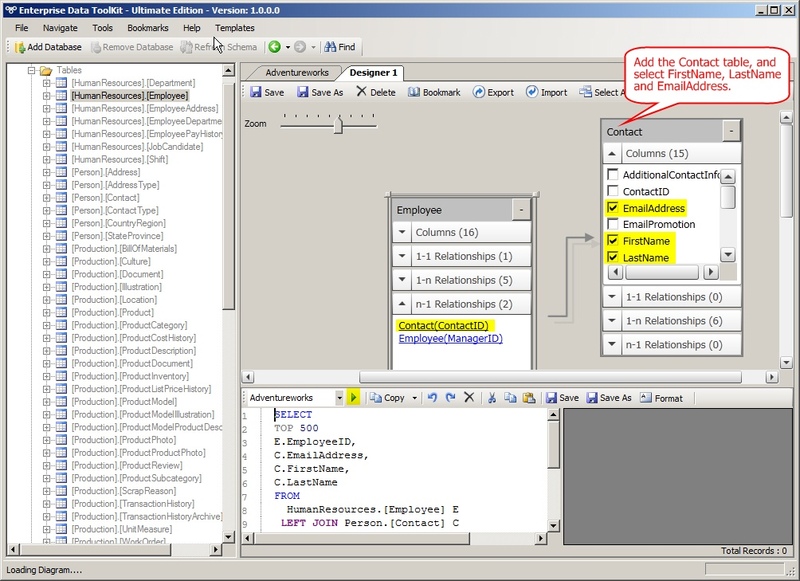 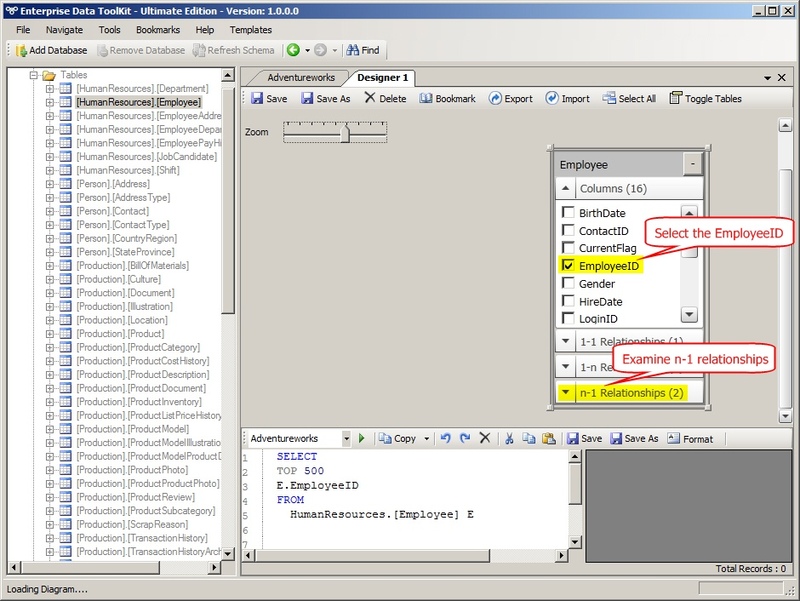 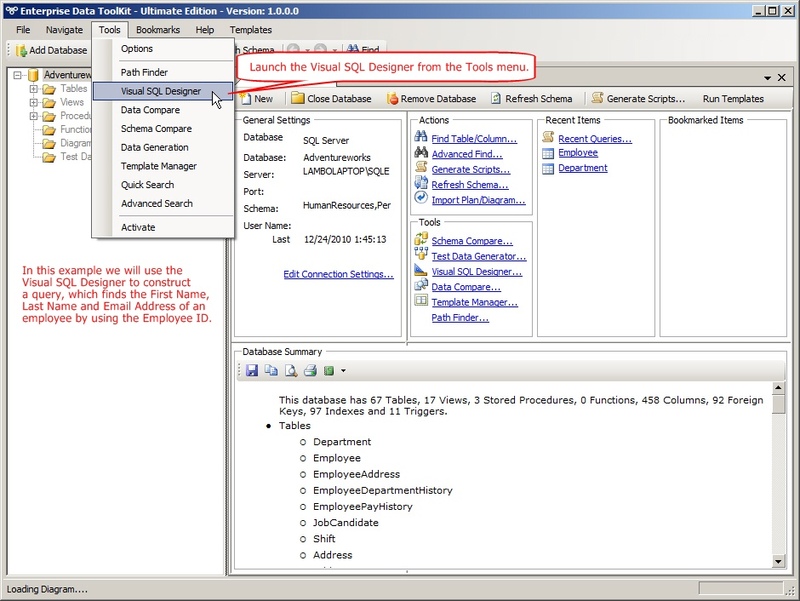 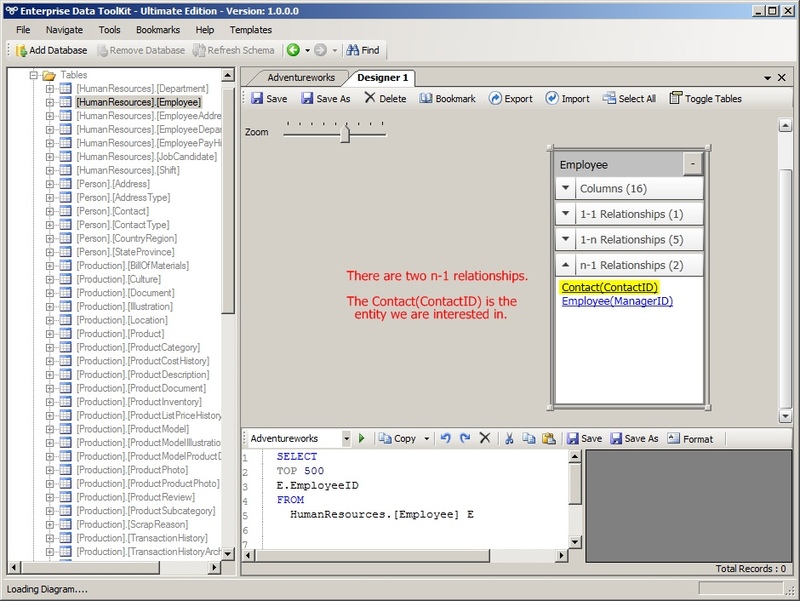 Check the columns of interest, and voila - not only do you have a fully functional SQL statement, but you also gained a visual perspective into the structure of your database. 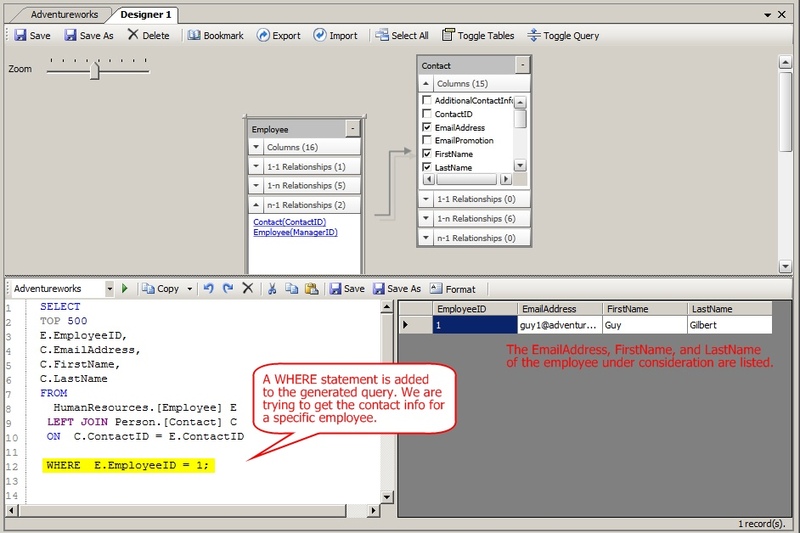 This is especially beneficial to developers working on large databases, when working with parts of the schema you are not immediately familiar with. 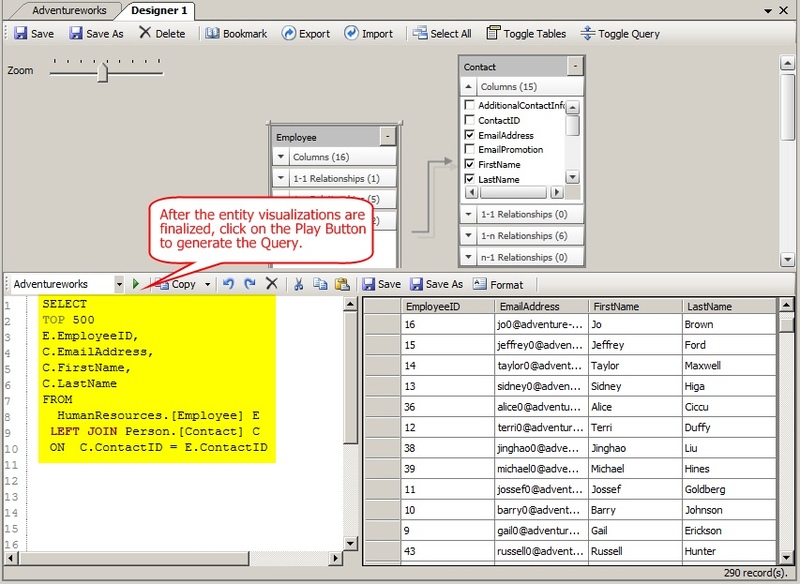 A visual database diagram that also helps you build complex SQL statements automatically within seconds -- without your fingers touching the keyboard!